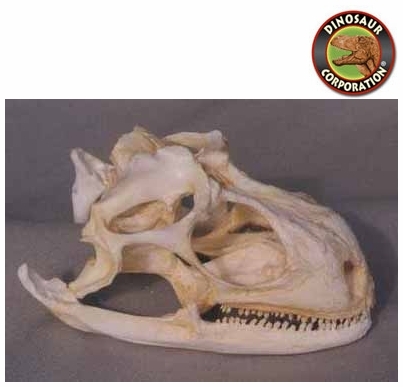 Green Iguana Skull. Replica. Iguana iguana. Iguana is a genus of lizard native to tropical areas of Central and South America and the Caribbean. The genus iguana includes two species: the Green Iguana and the Lesser Antillean Iguana. A herbivore, it has adapted significantly with regard to locomotion and osmoregulation as a result of its diet. It grows to 1.5 meters (4.9 ft) in length from head to tail, although a few specimens have grown more than 2 meters (6.6 ft) with body weights upward of 20 pounds (9.1 kg).